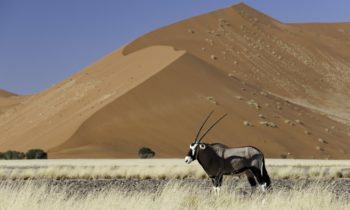 Vast, remote and isolated wilderness, Namibia is home to the most ancient desert on earth, filled with starkly beautiful landscapes that support a surprising amount of incredible desert-adapted wildlife. 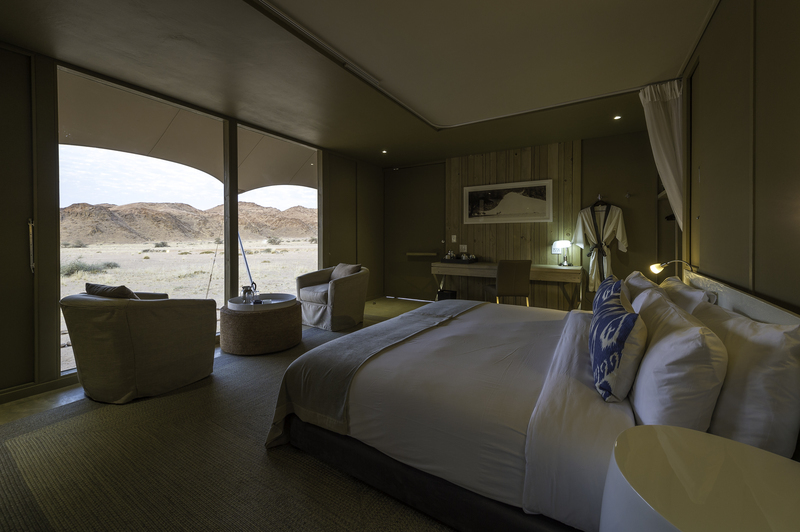 ‘Namib,’ translated “vast place,” is indeed the perfect description for a place that offers you what so few places on earth can offer nowadays…the chance to sit in absolute silence and look out across landscapes unaltered by human presence. 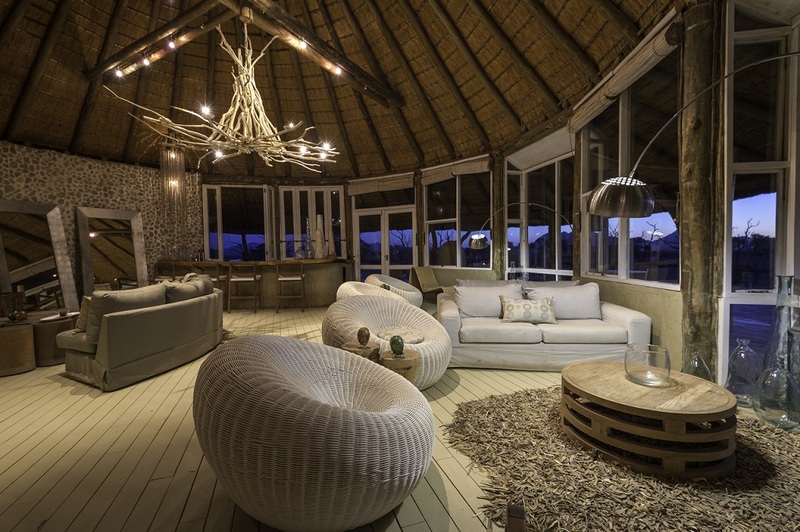 Our itinerary includes three distinctly different habitats. 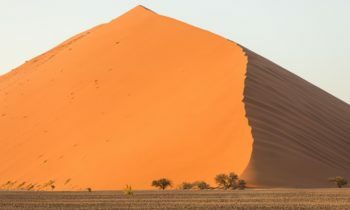 The Sossusvlei in the south is known for its massive red sand dunes, the largest sand dunes in the world. 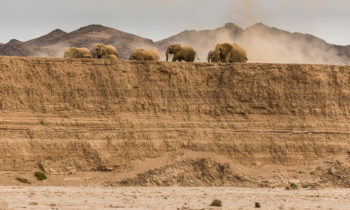 The Skeleton Coast and Hoanib River Valley…a surreal landscape, consisting of rugged hills and open desert vistas…home to a rich diversity of wildlife, including the desert adapted black rhino, a species of rhino that occurs nowhere else in the world. 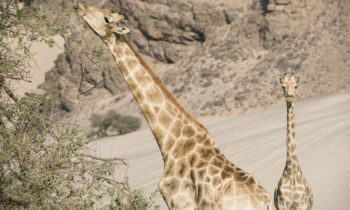 It is startling to find elephant, giraffe, lion, brown hyaena, oryx, springbok and more, thriving in this stark environment. 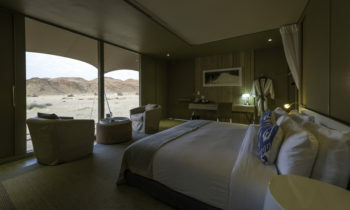 The safari culminates in the Kaokoveld, in the far north of Namibia, an area of huge mountain ranges, massive sand dunes and the Kunene River, which cuts through this otherwise dry landscape. 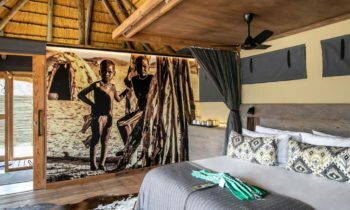 This is where you will be able to encounter the Himba Tribe and witness how they have been surviving here for hundreds of years. 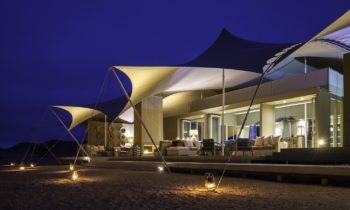 All the camps in this itinerary are as spectacular as their natural surroundings, offering guests stylish accommodation with all the amenities you need, but would not expect to find in such isolated wilderness areas…an absolute luxury during your time in these extremely remote and beautiful desert places. The safari starts in Johannesburg, South Africa. 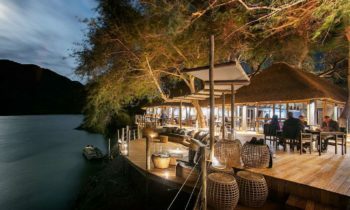 Overnight at InterContinental Hotel, conveniently situated at Johannesburg’s O.R. Tambo Airport. 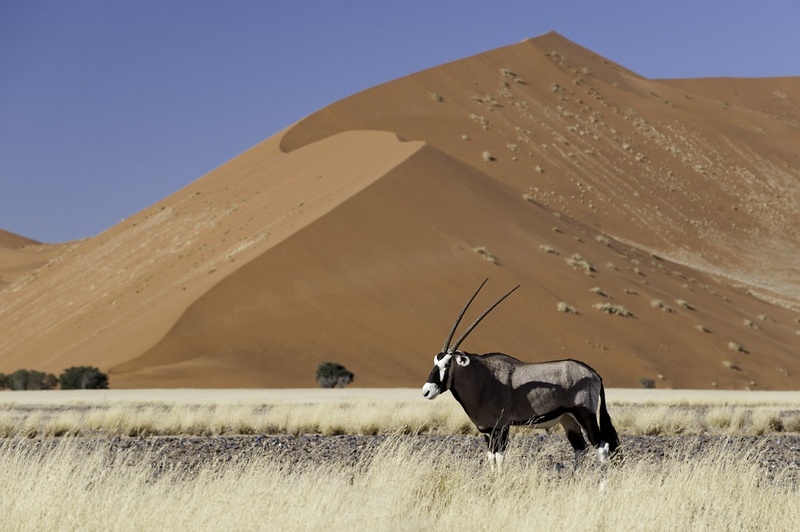 Scheduled international flight to Windhoek, Namibia. Light aircraft transfer to Little Kulala. 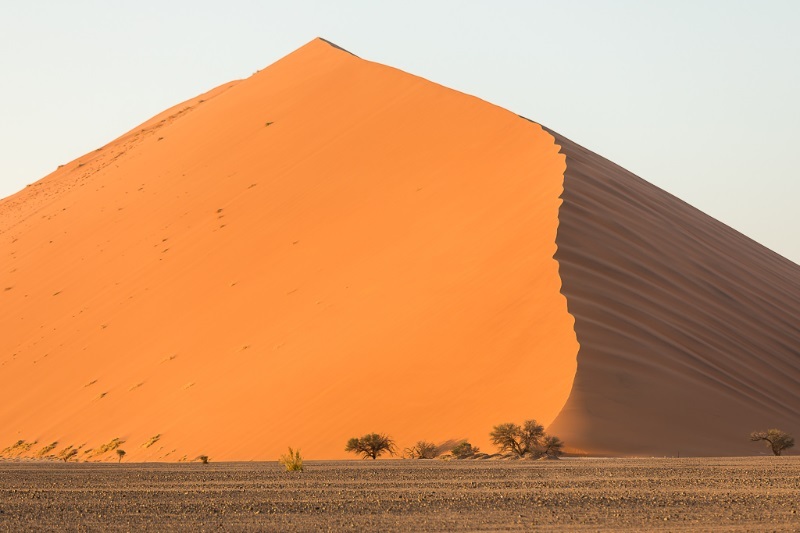 Approaching the Sossusvlei area, dropping down and over an escapement of mountains, you get your first glimpse of the distant massive red sand dunes that have made this area famous. 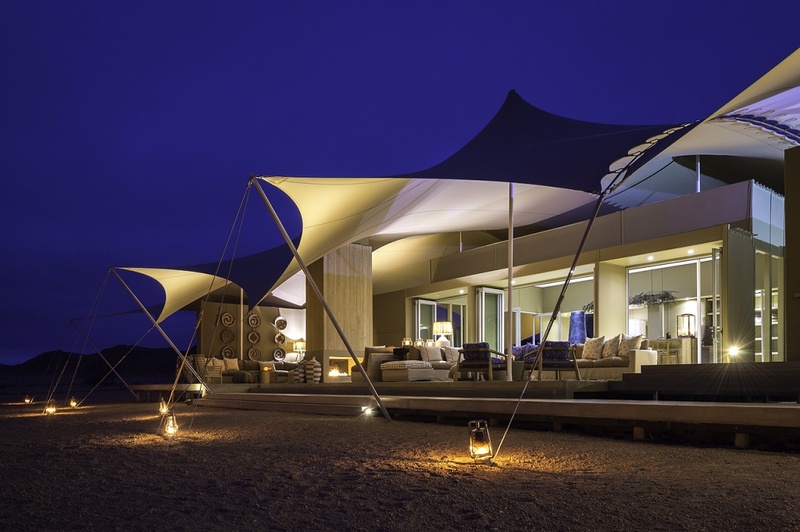 Little Kulala is a luxurious desert retreat situated in the private 37 000 hectare Kulala Wilderness Reserve, the gateway to Namibia’s sand sea with its towering dunes and clear starry skies. 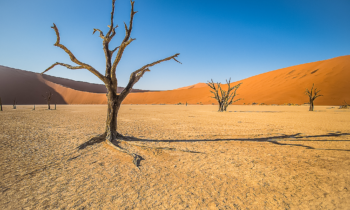 The fascinating desert-adapted wildlife in the area is another dimension of this truly spectacular place, as well as ‘Deadvlei,’ a shallow lake once filled with life, but nearly a thousand year ago was cut off by shifting dunes and the drying of the water course. 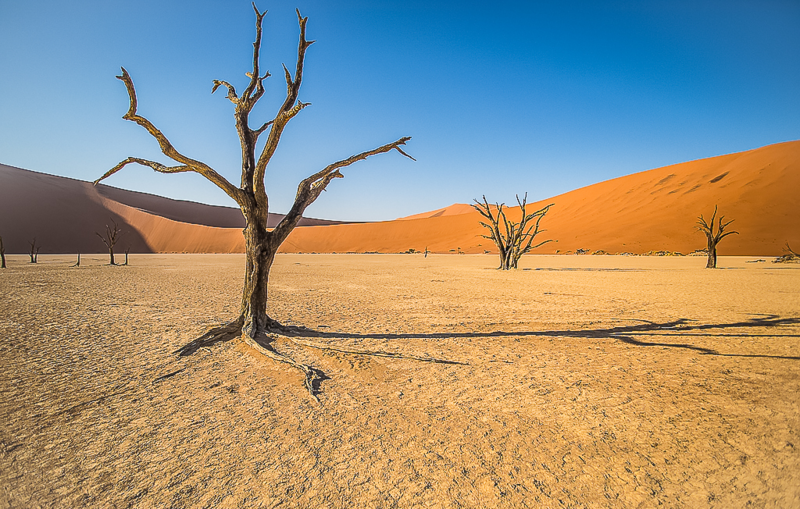 The contrast between the pitch-black trees, bleached-white pans, the rusty-red dunes and deep blue sky of Deadvlei, creates an interesting canvas for photographers. Eleven climate-controlled thatched ‘kulalas’ merge into the desert landscape, each with private plunge pool, indoor and outdoor showers and a rooftop star bed. 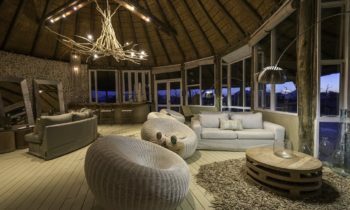 The natural colours, textures and light used in the interiors were inspired from the surroundings, notably from the stark beauty of Deadvlei. 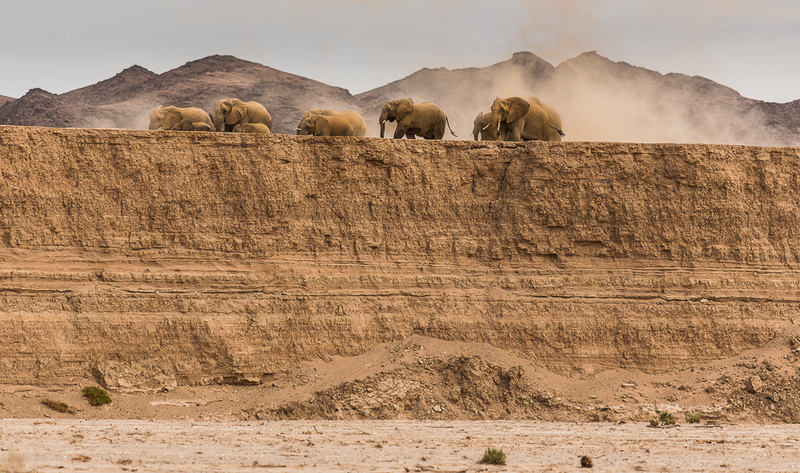 Flying into this incredible desert coastline, one could easily be mistaken for thinking you are on the moon. 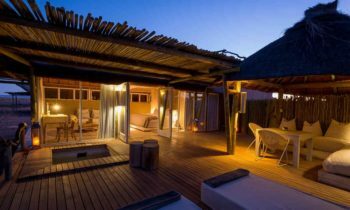 The landscape is dotted with huge boulders and rugged mountain ranges divided by dune fields that stretch out as far as your eye can see. Snaking its way through this terrain is the ephemeral Hoanib River. Its life-giving underground water enables huge stands of trees to flourish. 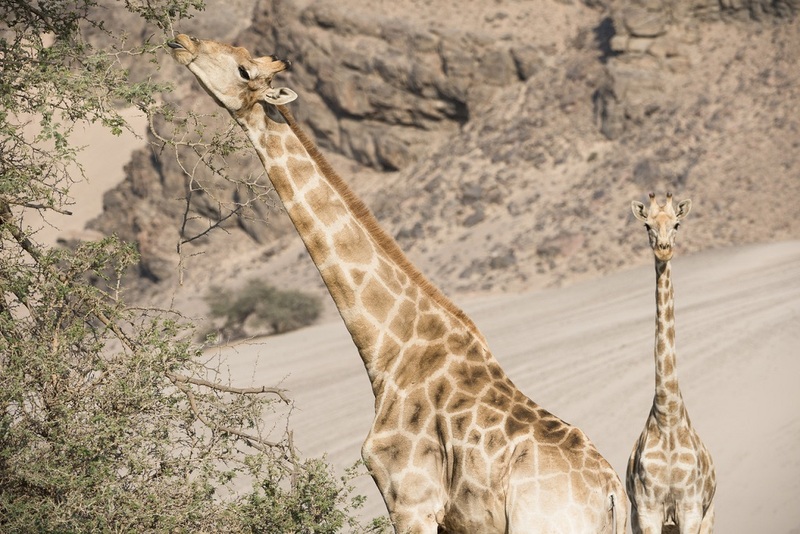 These in turn support a diverse and surprising amount of wildlife, including the desert adapted lion, elephant and black rhino, a species of rhino that occurs nowhere else in the world. The nearby coastline has remnants of centuries old shipwrecks, tossed ashore by the unforgiving Atlantic seas. Massive colonies of Cape Fur Seals breed here and provide food for jackals, brown hyena and lions. 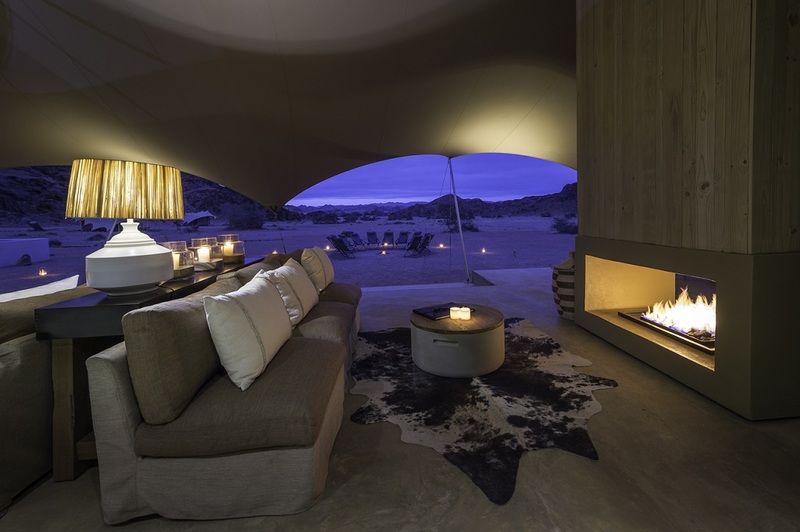 The camp consists of eight luxury tents, each comprising stylish en-suite bedrooms with shaded outdoor decks. 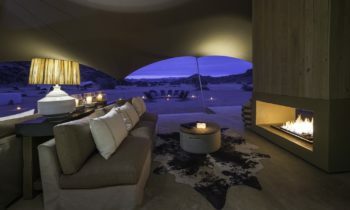 Flanked to the east and west by rugged hills, the camp looks out over stunning, starkly beautiful scenery. Arriving on the airstrip for your time here, the first question that seems to be on everyone’s mind is “where is the camp?” Having just flown in, it is obvious that there is nothing man made for miles and miles in every direction. 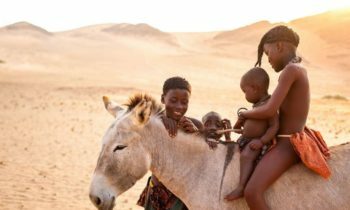 This is one of the attractions of this area and after a few days here, you will leave with an appreciation of the many smaller, less obvious aspects you will discover in this otherwise seemingly ‘barren’ land. 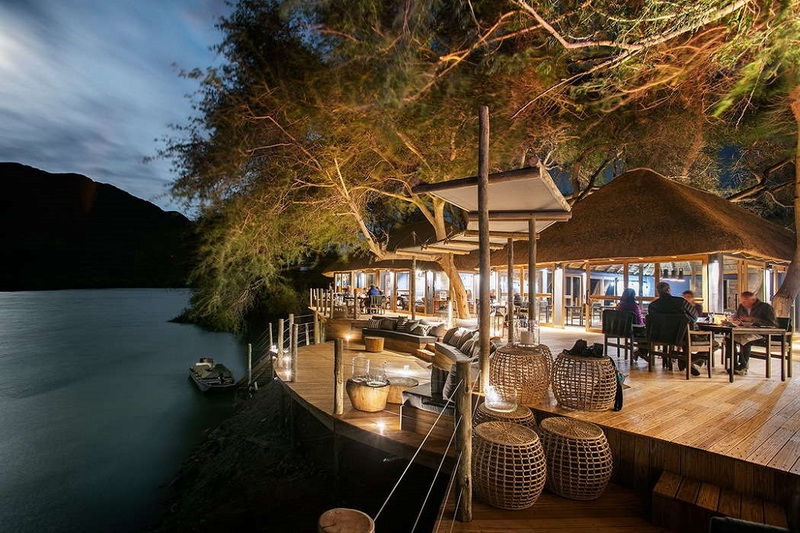 The camp is located in the extreme north-west of Namibia on the banks of the Kunene River. 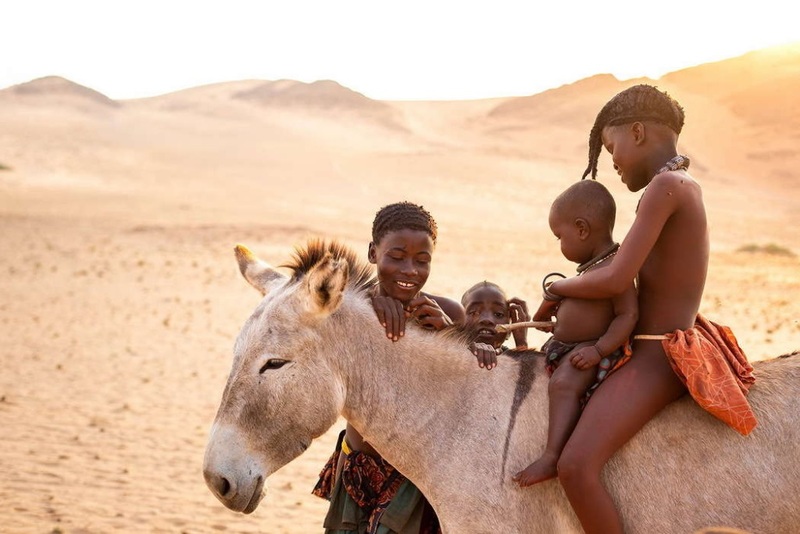 Here you will have the opportunity to enjoy the enormity of this landscape with its dune fields, mountain ranges, valleys and of course time with the Himba tribe, known for their striking red coloured ochre stained skins and metal and bead jewellery that adorn their bodies. 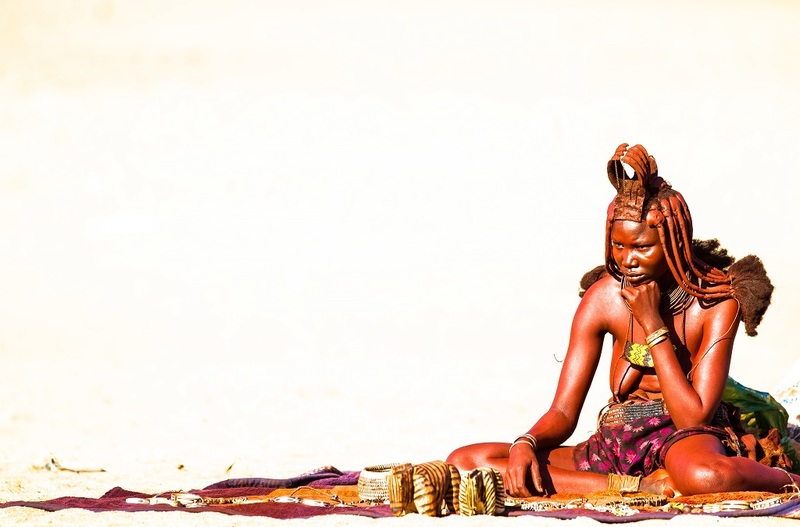 This tribe has managed to survive where many would fail…an incredible way of life to witness. 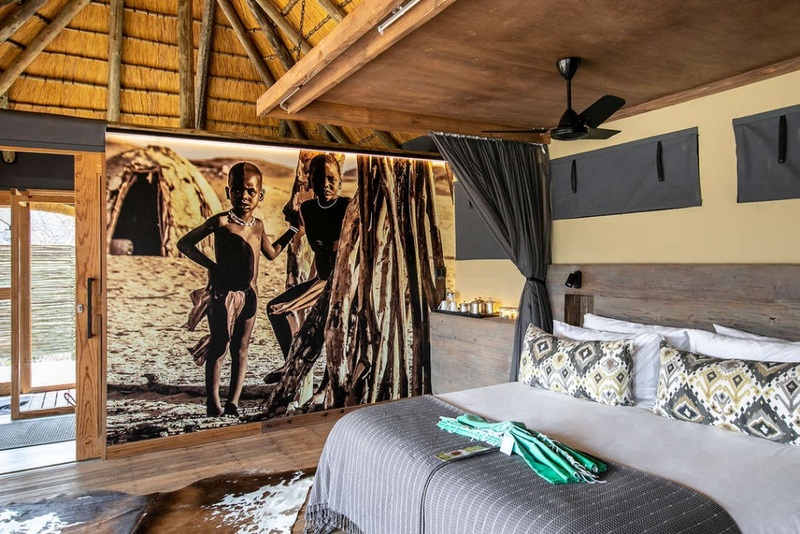 The design of the camp was inspired by the Himba, with a unique mix of rustic and luxury elements, nestled amongst shady Albida trees. 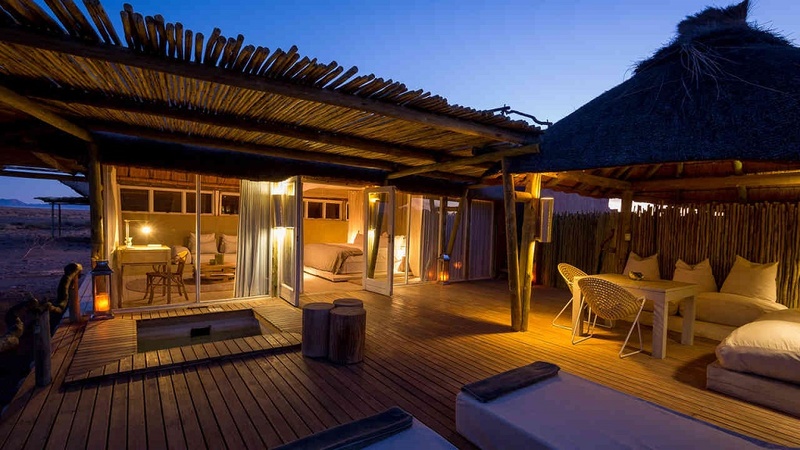 Eight wood, canvas and thatched villas on spacious elevated decks, blend smoothly into the picturesque surroundings. 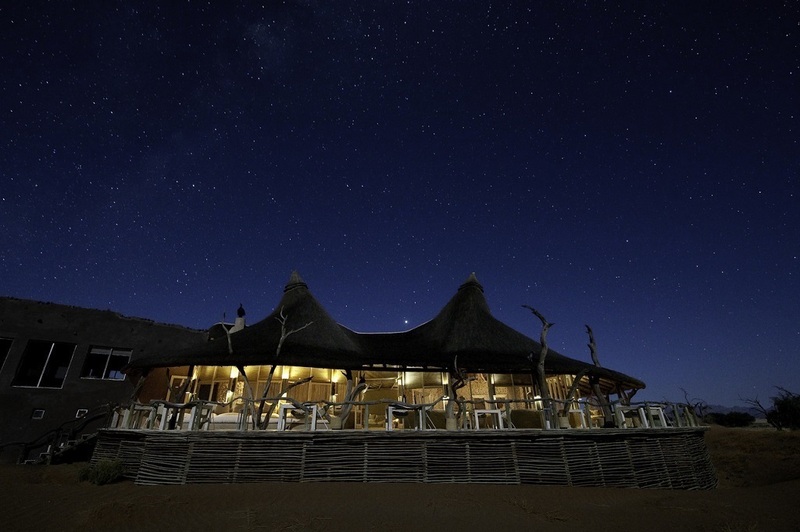 Each tent has an en-suite bathroom, ceiling fan and mosquito nets.  Light aircraft transfer to Windhoek Airport. Scheduled international flight to Johannesburg.